Operating system: the iphone, the device, and most of the android smart tablets and mobile phones. Connection mode: AP, CLIEN, two kinds of mode, P2P remote monitoring, a key to configure the network. 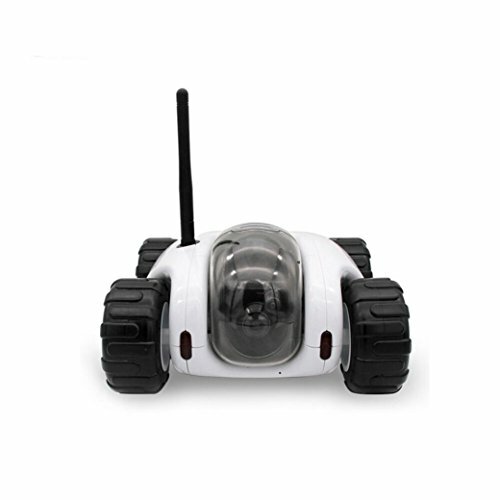 Remote control distance: local connection is a distance of 30 m, remote control cloud with need to where the router wifi signal can cover. Function: the implementation of the visual transmission video remote monitoring, can take pictures and video. Battery parameters: built-in 3.7 V, 3000 MHA high capacity lithium battery. Battery showed that 7 taillight display power and the car move. Battery life: play car for 2 hours, standby 8 hours, charging 4 hours. Wireless charging: equipped with wireless charger, just connect the power, the car charging can be wirelessly. If you have any questions about this product by Vibola®, contact us by completing and submitting the form below. If you are looking for a specif part number, please include it with your message.